Global Handwashing Day is celebrated each year on October 15 to increase awareness and understanding around the importance of handwashing with soap as an easy, effective, and affordable way to prevent diseases and save lives. USAID recognizes washing hands with soap at critical times as a vital step in curbing the spread of diarrhea and respiratory illness, and promoting healthy growth. USAID works with vulnerable populations around the world who lack access to soap and water in the home and are often miles away from a safe and clean facility. USAID handwashing efforts work toward a future where soap and water are accessible to every home and handwashing is a regular habit. Updated for 2017, this Planner’s Guide will help you plan a successful Global Handwashing Day event. The Global Handwashing Day 2017 Social Media Toolkit is also available, and in English, French & Spanish. 15 October was Global Handwashing Day: take the quiz! Are you a Handwashing Champion? Each year on 15 October, over 200 million people in over 100 countries celebrate Global Handwashing Day. Their aim is to increase awareness and understanding about the importance of handwashing with soap. This simple intervention is an effective and affordable way to prevent diseases and save lives. Promoting handwashing with soap reduces the risk of diarrhoea by at least 23% according to a 2014 systematic review of research. Handwashing with soap impacts more than just health: it is also beneficial for nutrition, education, economics, and equity. Global Handwashing Day was founded by the Global Public-Private Partnership for Handwashing, and is an opportunity to design, test, and replicate creative ways to encourage people to wash their hands with soap at critical times. This year’s theme is “Make Handwashing a Habit!” For handwashing to be effective it must be practised consistently at key times, such as after using the toilet or before contact with food. While habits must be developed over time, this theme emphasises the importance of handwashing as a ritual behaviour for long-term sustainability. IRC is proud to be an affiliate member of the Global Public-Private Partnership for Handwashing. Especially for Global Handwashing Day we created a fun quiz so that you can not only test your knowledge but also learn a bit about what we are doing to promote handwashing. 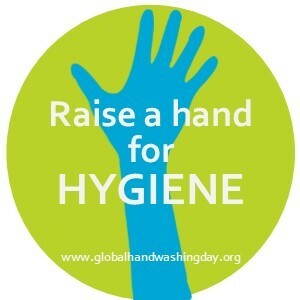 Don’t forget to visit the Global Handwashing Day website for resources and updates on global handwashing promotion. For the latest research and developments, also check out the handwashing posts on Sanitation Updates. Now take the quiz to see if you are a Handwashing Champion! 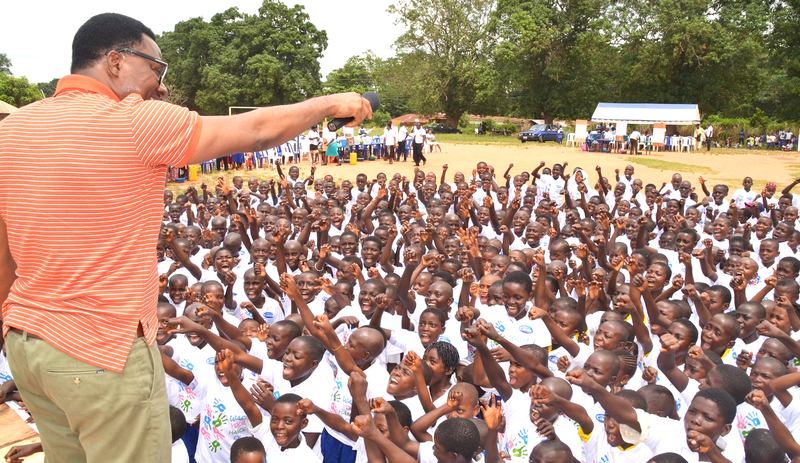 USAID – Celebrate Global Handwashing Day 2016! On Global Handwashing Day, we join partners around the world to celebrate the importance of handwashing with soap as an effective and affordable way to prevent diseases and save lives. Handwashing is an important part of the U.S. Agency for International Development’s (USAID’s) efforts to end preventable child and maternal deaths. Although many people around the world clean their hands with water, the use of soap is also necessary to prevent disease more effectively. Millions of children under the age of 5 years die from diarrheal diseases and pneumonia. Handwashing with soap could prevent about 1 out of every 3 episodes of diarrheal illnesses and almost 1 out of 6 episodes of respiratory infections like pneumonia. Handwashing with soap is also a key component of clean and safe birthing practices, which could save up to 40 percent of the 2.8 million infants that die during their first month of life. Global Handwashing Day is there to remind us of how simple the solutions to serious issues can be. I’ve always been a sceptic when it comes to world “Days”. However noble the cause, what difference can they really make? The International Day of Peace – as if the various factions in Syria or Nigeria’s Boko Haram extremists paused from their daily destruction to consider alternative approaches. How many acres of forest are cleared for extracting resources or planting cash-crops every World Environment Day? Aside from providing a hook for advocacy press releases, how could those involved possibly think that one day could positively affect the suffering on the front lines of poverty and insecurity? Well, having run behaviour change projects in West Africa over the last five years I am beginning to believe that it can. Today is Global Handwashing Day, and together with its cousin World Toilet Day on 19 November, it brings attention to the most basic issues – hygiene and sanitation – that to our shame still account for two million child deaths a year. A third of the world’s population – 2.4 billion people – live with poor sanitation and hygiene which, according to the World Bank, costs countries $260 billion annually. Every day 2,000 children die before reaching their fifth birthday due to diarrhoeal diseases, the vast majority caused by poor sanitation and hygiene. Diarrhoea alone killed far more young children in Nigeria over the last 12 months – around 150,000 – than Boko Haram’s slaughtering and the wars in Syria combined. Whilst we continue the daily search for even a hint of a resolution to these two brutal and complex conflicts, we already know the simple solution to tackling hygiene and sanitation-related diseases. We know that handwashing with soap is the most effective and inexpensive way to prevent diarrhoeal diseases – reducing incidence by up to 47% – and combined with improved sanitation, this is boosted to 68%. We know that in countries with the highest child mortality rates as few as 1% of people wash their hands effectively, and that the global average is only 19%. Most frustratingly, effective tools and participatory methods are readily available and it is estimated that interventions that promote handwashing could save close to a million lives. So why is hygiene promotion not a focus of most development projects? Read the full article in the WSSCC partner zone on the Guardian. Global Handwashing Day occurs each year on October 15. It is a global advocacy day dedicated to increasing awareness and understanding about the importance of handwashing with soap as an effective and affordable way to prevent diseases and save lives. This issue contains links to handwashing resources from WASHplus, the Global-Public-Private Partnership for Handwashing, recent studies, reports, and videos. This coalition of international stakeholders works explicitly to promote handwashing with soap and recognize hygiene as a pillar of international development and public health. Just a few of the partnership’s resources include the PPPHW website with links to webinars, fact sheets, andmember organizations. Also the Global Handwashing Day Social Media Toolkit features sample messages, blog ideas, and resources to help celebrants and handwashing champions spread the word about Global Handwashing Day. A small doable action is a behavior that, when practiced consistently and correctly, will lead to personal and public health improvement. It is considered feasible by the householder, from HIS/HER point of view, considering the current practice, the available resources, and the particular social context. This brief takes a look at how WASHplus has applied this approach to a range of activities—handwashing, water treatment, improved sanitation, menstrual hygiene management, and food hygiene. This webinar features panelists David Neal, Catalyst Behavioral Sciences; The University of Miami; Jelena Vujcic, Catalyst Behavioral Sciences; The University of Buffalo; Orlando Hernandez, WASHplus, FHI360 and Wendy Wood, The University of Southern California. Global Handwashing Day Planner’s Guide, 3rd Edition. 2014. Detailed celebration ideas designed to help religious organizations, schools, healthcare centers and more plan effective messaging and events. An event checklist that helps planners organize and make sure their event planning is on track.